Bordering iridescent seas, Puglia sits at the heel of Italy's `boot'. It is a region where the food is light, nutritious and rustic, and firmly centred around family life. 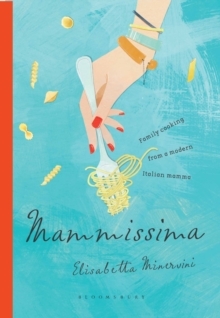 Born in this captivating place, Elisabetta Minervini has brought the vitality of Puglian cooking to her home in London, where she has tried and tested the best traditional recipes for children and adults alike. These include orecchiette (`little-ear' pasta) with broccoli, stuffed peppers, octopus salad and the ultimate homemade pizza - as well as a host of delicious sweet treats. Perfect for busy mammas, it's a way of cooking that suits the modern lifestyle, with dishes that can be prepared quickly and easily using inexpensive, healthy ingredients. This lively introduction to all that Puglian family cooking has to offer will bring la dolce vita into your own kitchen!